NIA CHARLESTOWN NEVIS (MAY 28, 2015) — The Nevis Limited Liability Company (Amendment) Ordinance 2015, received safe passage at a sitting of the Nevis Island Assembly on May 27, 2015 after unanimous support from both sides of the floor. Premier of Nevis and Minister of Finance in the Nevis Island Administration Hon. Vance Amory who tabled the ordinance said, in introductory remarks that the amendments would remove any inconsistencies which existed in the parent act. It would also standardise the legislation to afford users and practitioners in the Nevis Financial Services Industry, a greater ease of doing business in Nevis. He noted that some of the amendments were cosmetic while others were substantive ones which were calculated to improve and to strengthen the legislation and provide greater effectiveness for practitioners who use the legislation to market the Limited Liability Companies (LLCs) of the Nevis Financial Services jurisdiction to their clients around the world. Later in his presentation, Mr. Amory thanked both members of the government and opposition sides for their support of the bill. 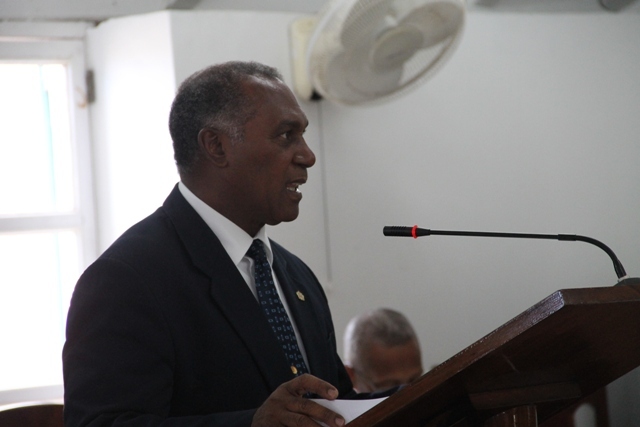 “I feel, and by their admission, the bill is not one which contains any contention and one which can only do good for the financial services industry in Nevis and answer some of the questions which were raised about the benefit to Nevis and the people of Nevis,” he said. The Nevis Limited Liability Company (Amendment) Ordinance 2015, was one of three tabled at the Assembly’s sitting. The other two were the Nevis International Exempt Trust (Amendment) Ordinance 2015 and the Nevis Business Corporation (Amendment) Ordinance, 2015.